You may have noticed a fresh, new look around here. A new logo. A new website. So many new styles. Spring 2019 represents a direction shift for Draper James—not away from our core mission of making women feel beautiful through effortlessly wearable clothing and accessories but toward a more inclusive and attainable version of what that collection of products looks like. Our girl wants to feel unique yet recognized for her everyday accomplishments. She is values (and value) driven and wants clothes that make her feel confident. And special. And part of a community larger than herself. 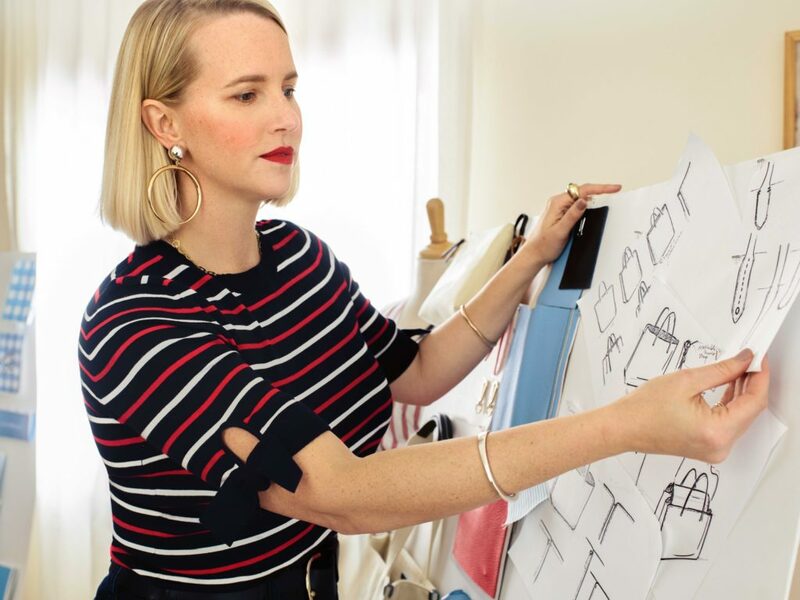 Kathryn Sukey, our new head of design, has been working closely with Reese to help us deliver style that is steeped in culture, designed for real life, and unapologetically pretty. We can’t wait for you to meet her. Tell us a little about your experience as a designer. I’ve always dabbled in design; in the 90s, I’d comb through vintage stores and thrift shops and reconstruct unique pieces for myself. I never wanted to wear the same thing as someone else, so I re-designed almost everything in my closet on a shoestring budget. Once I met my husband at McGill University and we decided to make a life together in his hometown of New York City, I knew I could translate my dabbling-in-design into a career. I started as an intern at Oscar de la Renta, then moved on to Douglas Hannant where my role shifted based on where we were in the calendar: creative research, design assistant, sample manager, right through to PR for fashion week. I quickly learned the ins and outs of the fashion world. From there, I spun my ready-to-wear career into accessories design, first at Coach, then at Kate Spade. Now I get to pull all of my experience into one incredibly fulfilling role at Draper James. What was it about Draper James that first drew you to the brand? 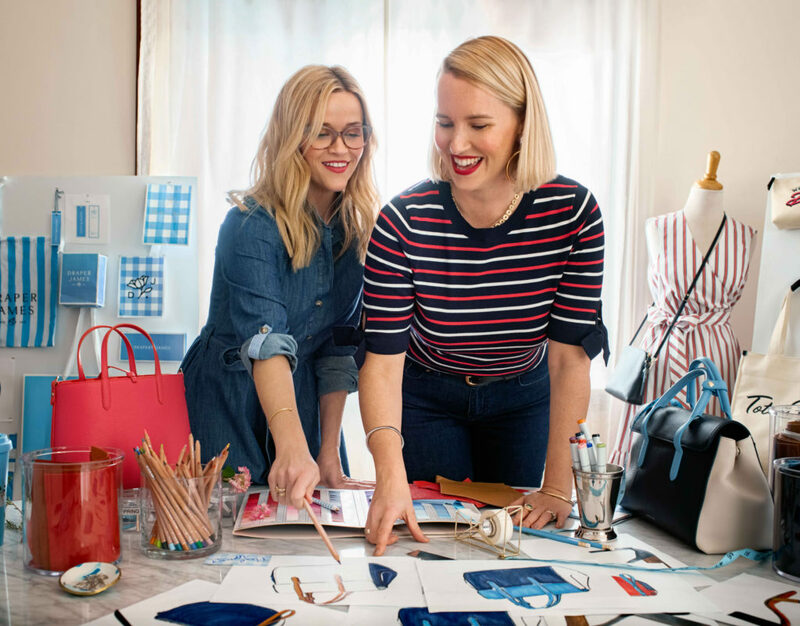 The idea of taking all of my experiences in ready-to-wear and in accessories design and translating all that I knew into Reese’s lifestyle brand was exactly the challenge I was looking for. I was at a point in my career where I was the mentor, which I loved, but I wanted to be the mentor and the student. 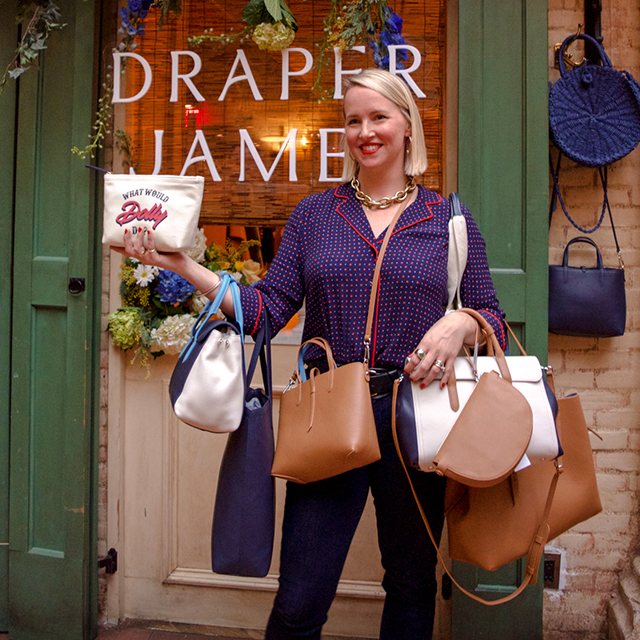 Helping to navigate and grow a startup like Draper James is a gift in one’s career, so I jumped at the chance! If you could describe the Spring collection in three words, what would they be? What’s the most important thing you’ve learned working alongside Reese? How to be especially present and focused and in the moment. Reese is so busy with all of her businesses, philanthropic endeavors, and projects. No matter what else she has going on, when we have a Draper James meeting scheduled, she is 100 percent focused on the discussion at hand. It’s a truly admirable quality, one that I’m still working on myself! What’s your favorite piece from the February delivery? There are too many to name, I can’t pick just one. I love the Embroidered Skirt and Embroidered Button Down Top that are the perfect mix of feminine embroidery details and men’s shirting stripe; I love the Self Tie Romper, which feels like a new way of addressing the pajama dressing trend we all love; and the new What Would Dolly Do items are near and dear to my heart. I’m a huge fan of Dolly Parton, and I put my heart into redesigning that message so it felt more Southern and more Dolly. The font we used for her name is inspired by her signature on her album covers! What’s the best piece of fashion advice you’ve ever received? It’s more of my own intuition: Lead with kindness.